When I was in my early twenties, I went to see a therapist. I was struggling trying to figure out who I was because I felt like I really didn’t know. What I did know for sure was I was tired, confused, and aimless. His answer stunned me – and gave me permission to continue to stumble around while I worked to figure out my life. If was such a relief to have someone who wasn’t worried about what I was doing or accomplishing, but who encouraged me to figure out who I was from the inside out. 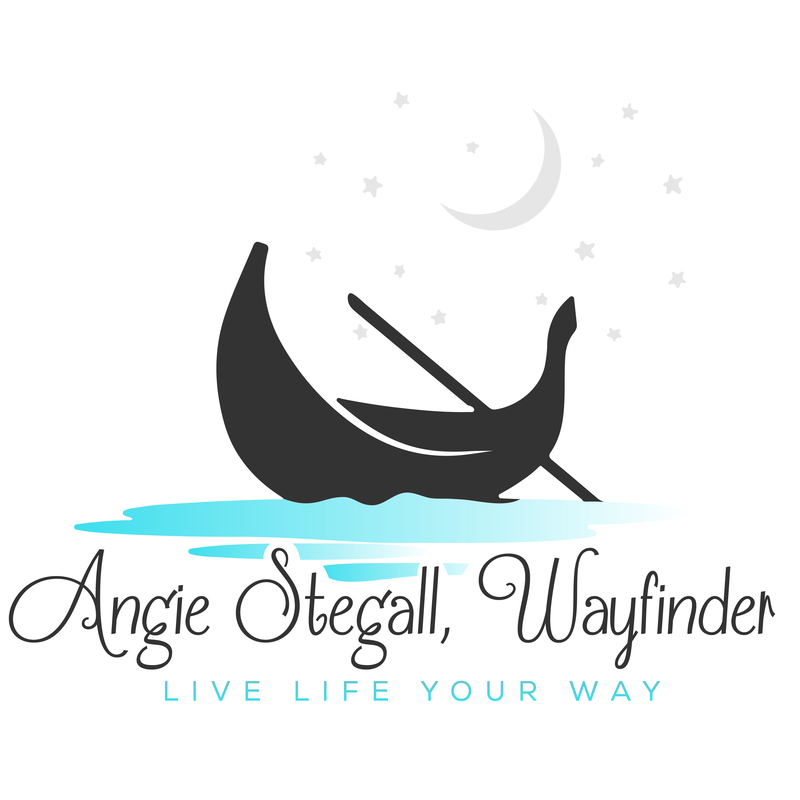 (And, it was a gifted Soul Coach – another Wayfinder like me – who ultimately helped me identify my most powerful gifts). Gentle reader, is there an area of your life where you feel like you’re flailing around? You’re feeling tired, confused, and (in some places) aimless and/or swirling. I’m here to tell you that at different phases of your life, this is OKAY. Perfectly normal, in fact. It’s just your subconscious slowing you down and trying to get your attention. Truth is, a lot of my Wayfinding work is about being on the journey with you while you stumble through the confusion. We slow down and explore the questions that want to be asked. We converse with the different parts of you who want to be heard and have something incredibly valuable contribute. And we dig into your dreams and what your unconscious wisdom might be here to share with you. Then, it’s about following the signs, hints, and clues (breadcrumbs, as my mentor and teacher Martha Beck calls them) that help you create the path to your right life that feels open, expansive, and joyful. Gentle reader, if you’re ready for this journey of figuring out who you are from the inside out, I’d love to talk to you. The first step is a complimentary Clarity Session. P.S. May I ask you to share this post with one or two people who have confessed to you that they are swirling? There is some stuckness, some confusion. They know change is needed, but aren’t sure how to proceed. I’d love for you to share this email with them. Simply hit “FORWARD” and send it their way.